Featuring works seen for the first time outside Italy, this groundbreaking exhibition centers on the ancient town of Oplontis on the Neapolitan coast, a site that was buried and preserved when Mount Vesuvius erupted in 79 CE. The exhibition focuses on two adjacent, spectacular Roman archaeological sites—one an enormous luxury villa (“Villa A”) that once sprawled along the coast of the Bay of Naples, the other a nearby commercial-residential complex (“Villa B”), where products from the region were exported. Ongoing excavations of the villas have revealed a wealth of art, including sculpture that adorned the gardens along with ordinary utilitarian objects that together demonstrate the disparities of wealth, social class, and consumption in Roman life. This is the first major exhibition to address this important site, less well known than the more famous sites of nearby Pompeii and Herculaneum, which were also victims of the Vesuvian eruption. SCMA is one of three national venues for the exhibition, and the only east coast venue. 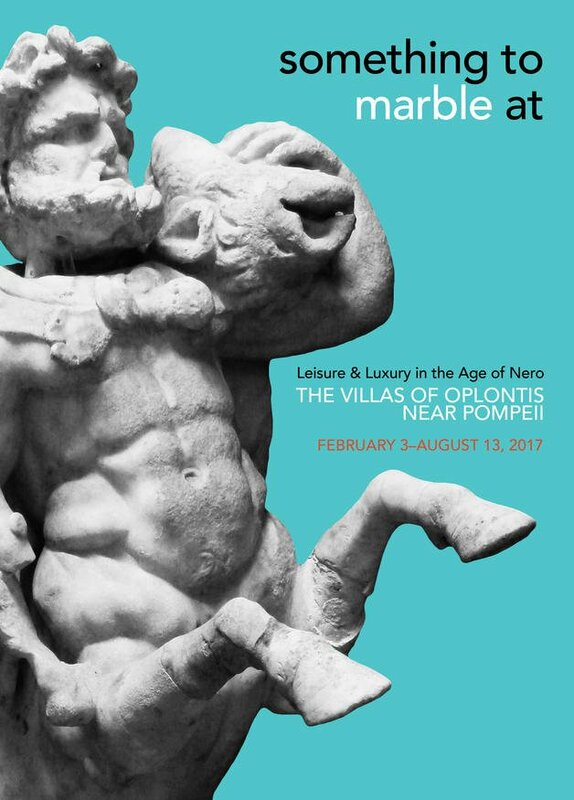 This exhibition is organized and circulated by The University of Michigan Kelsey Museum of Archaeology in cooperation with the Ministero dei Beni delle Attività Culturali e del Turismo and the Soprintendenza Speciale per i Beni Archeologici di Pompei, Ercolano e Stabia. For more information visit the exhibit page here.